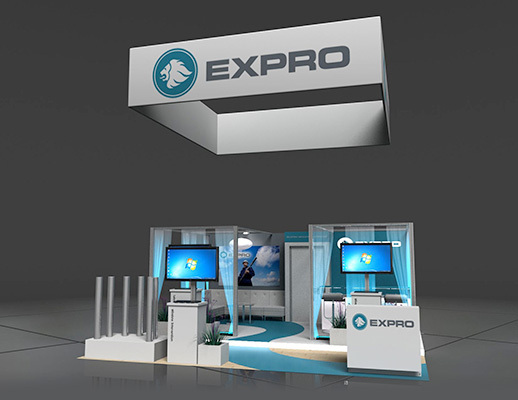 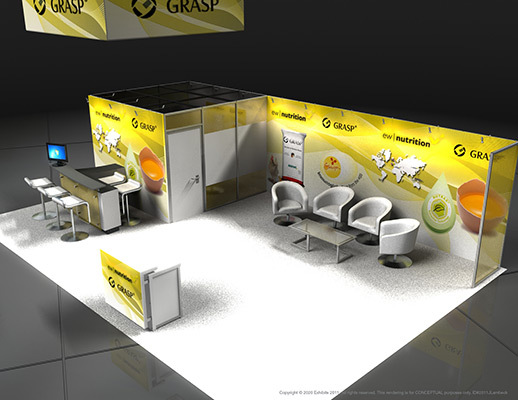 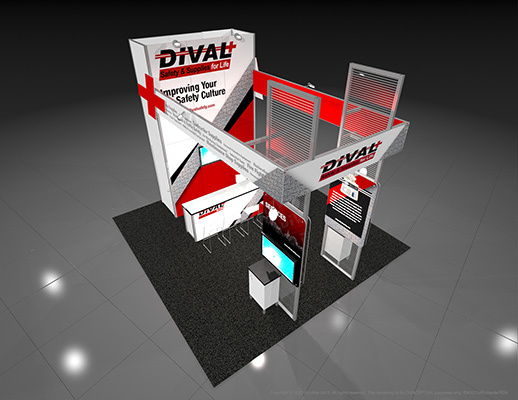 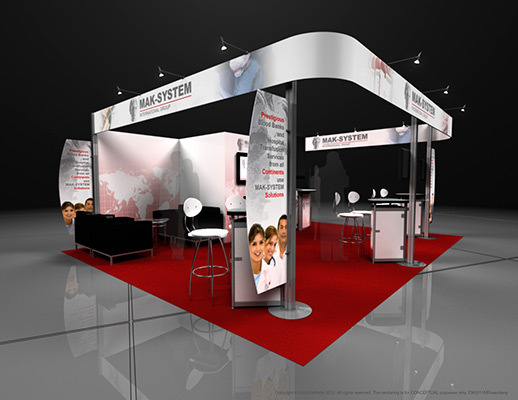 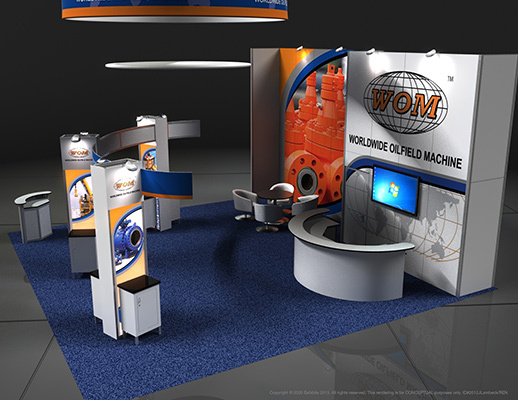 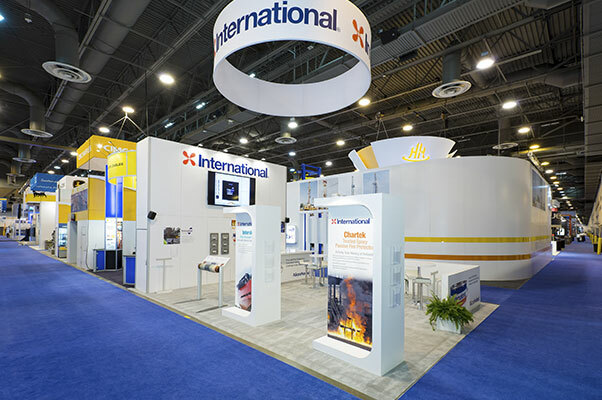 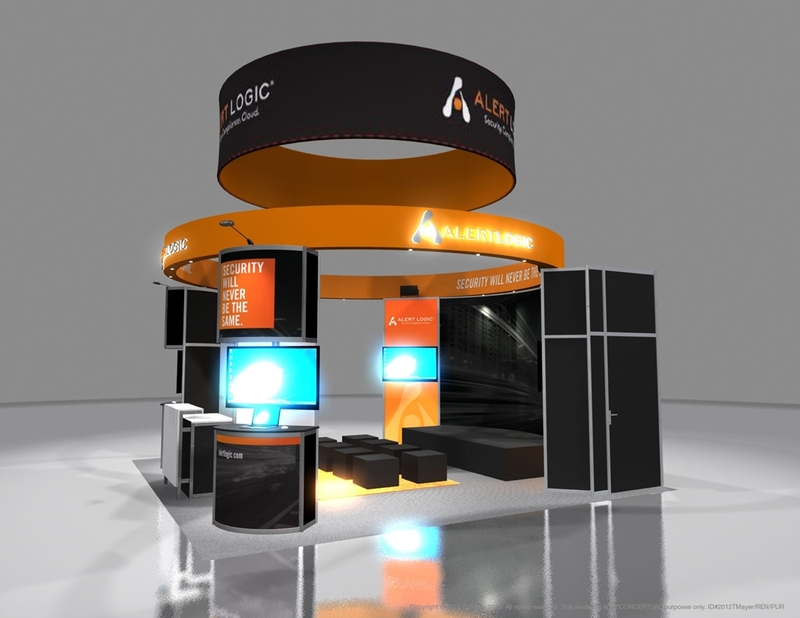 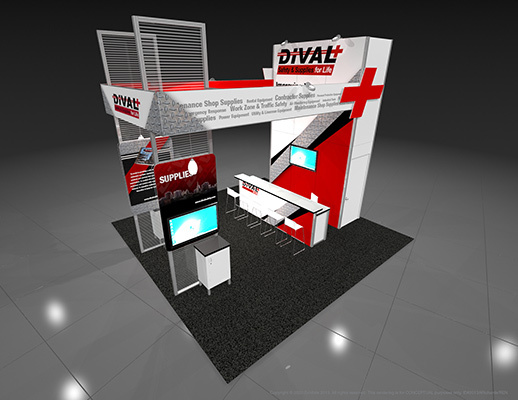 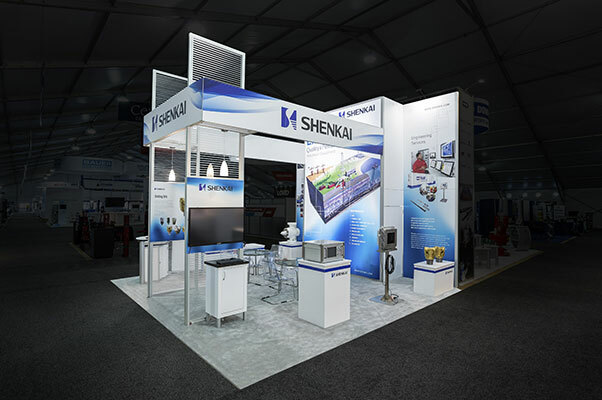 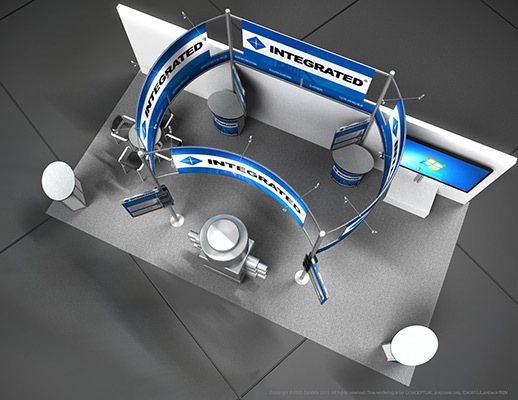 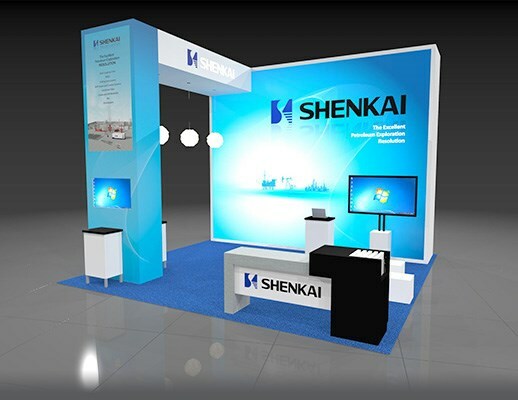 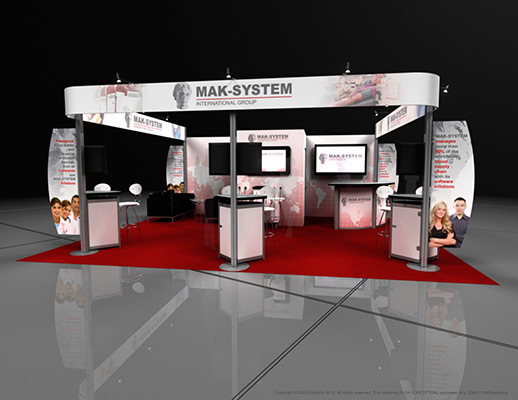 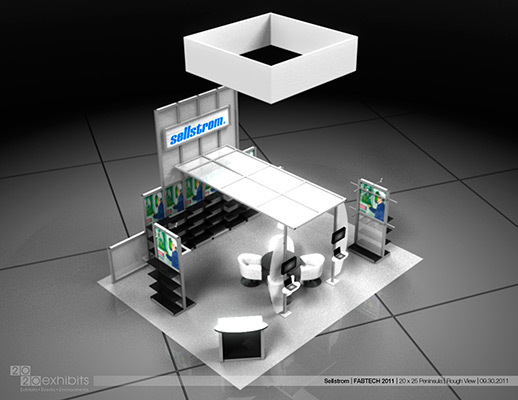 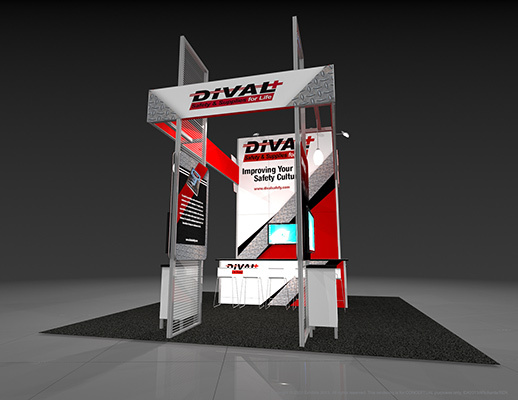 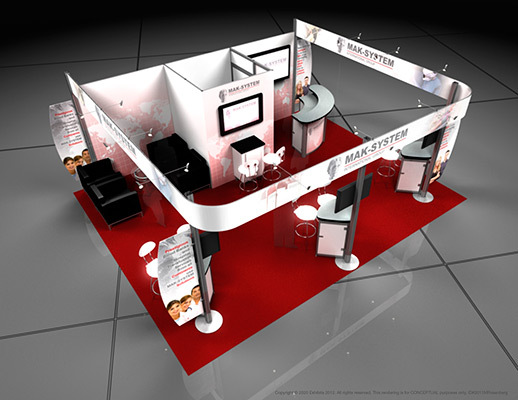 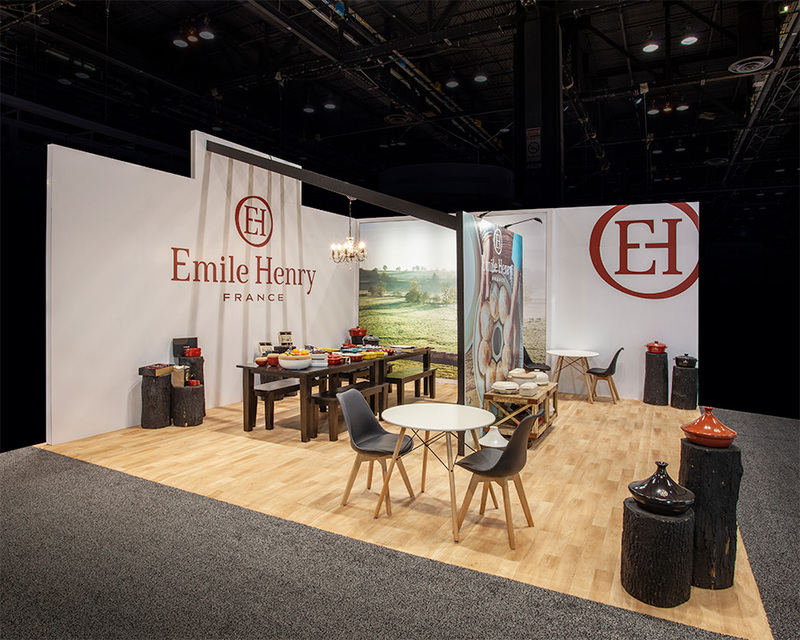 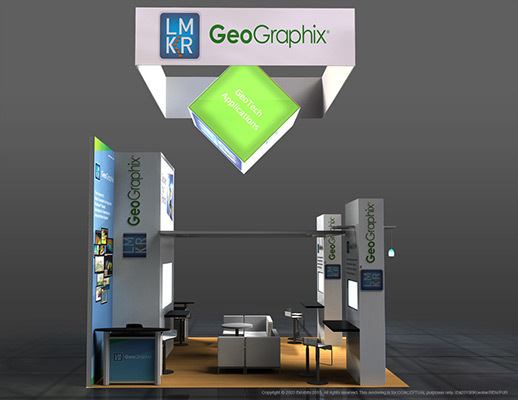 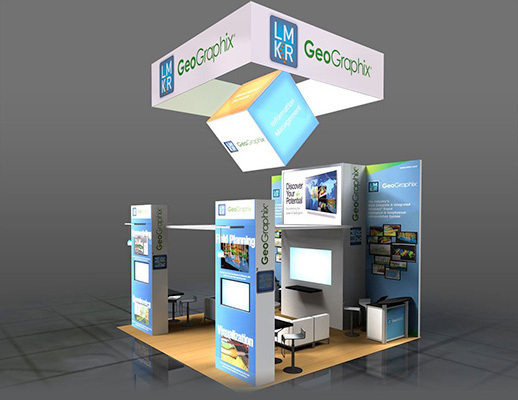 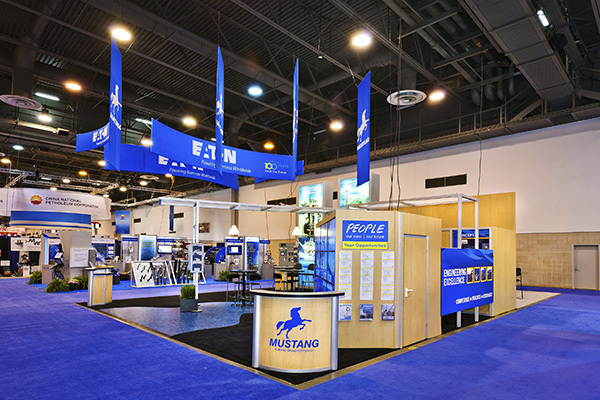 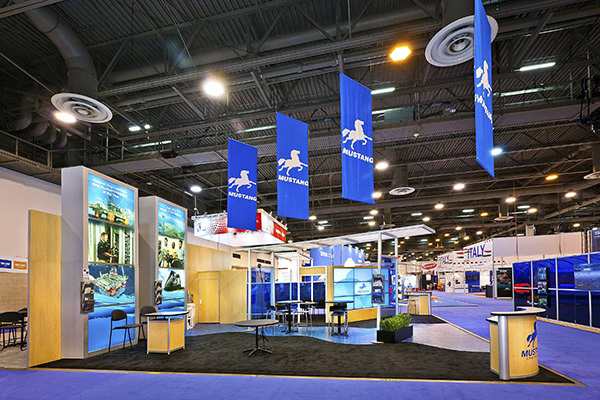 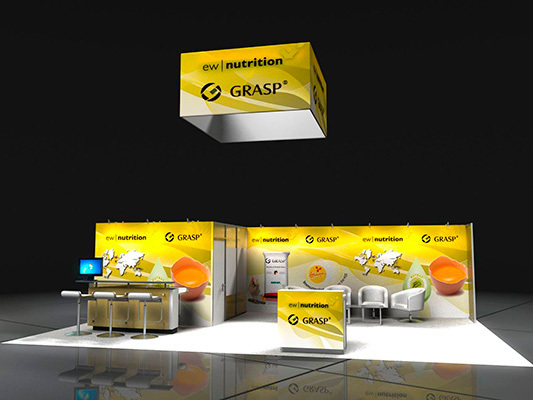 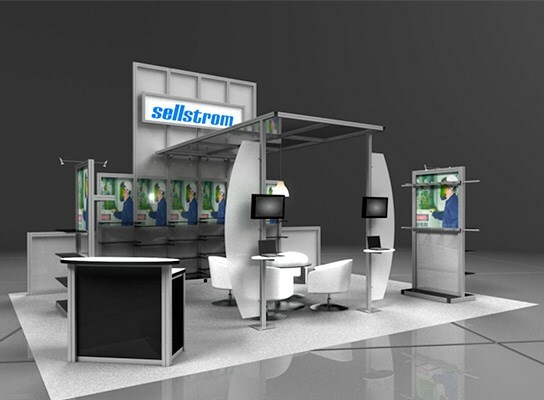 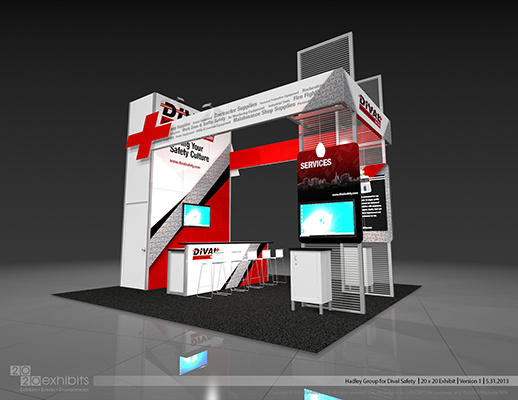 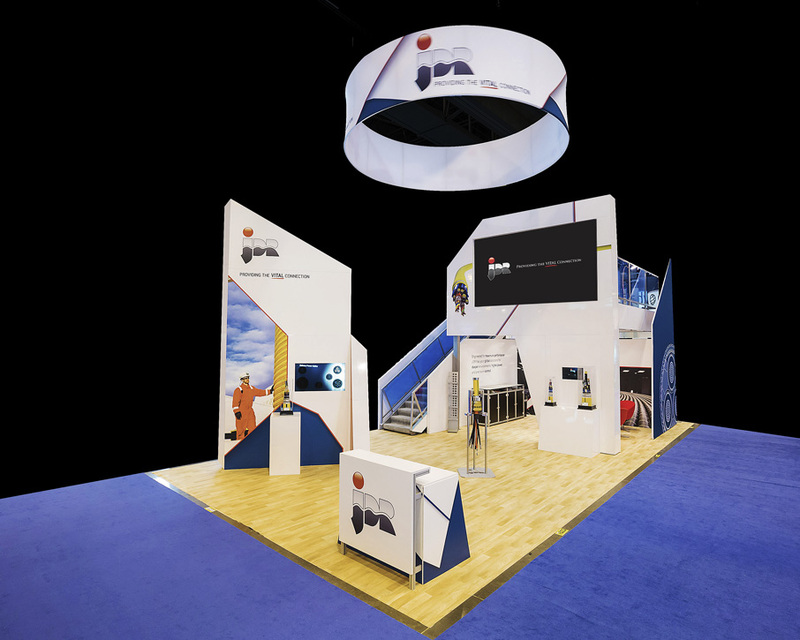 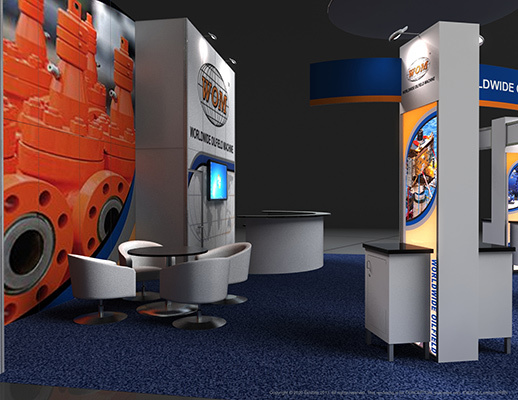 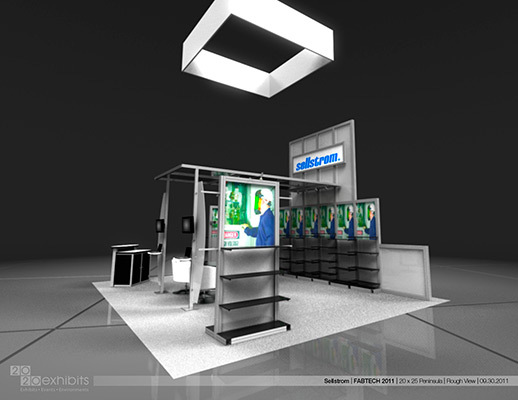 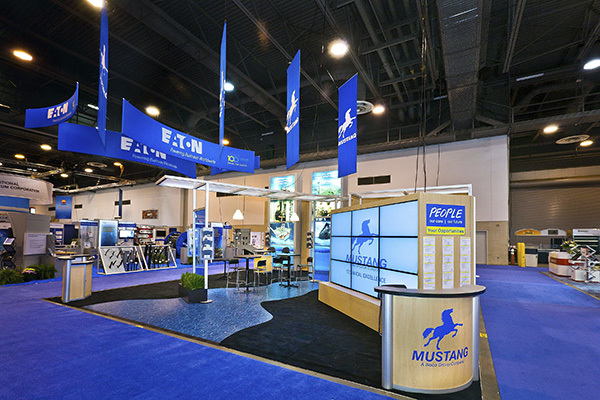 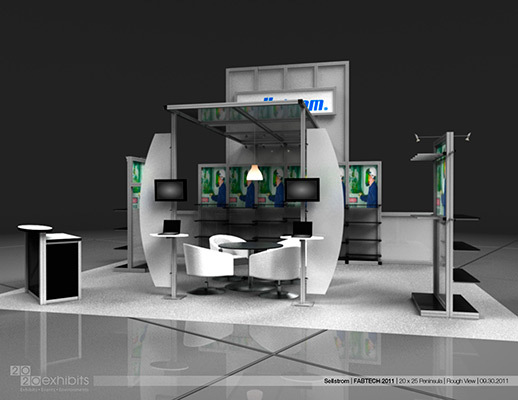 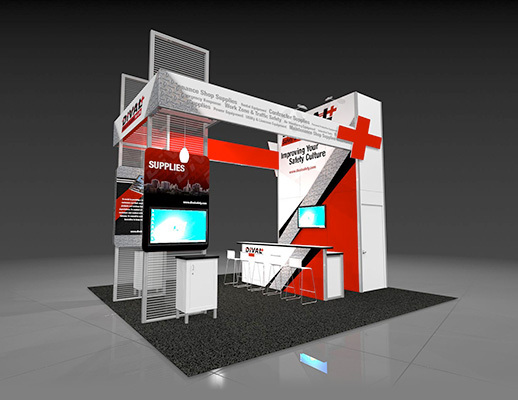 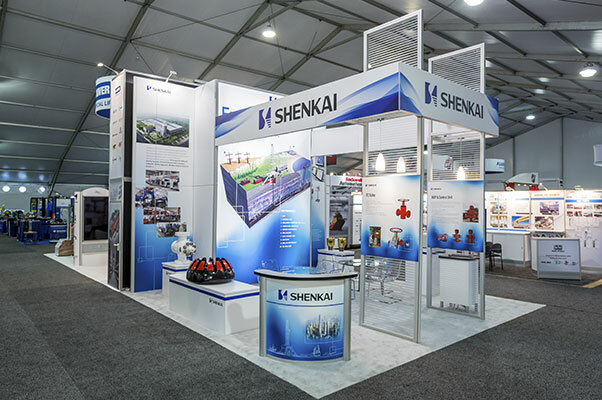 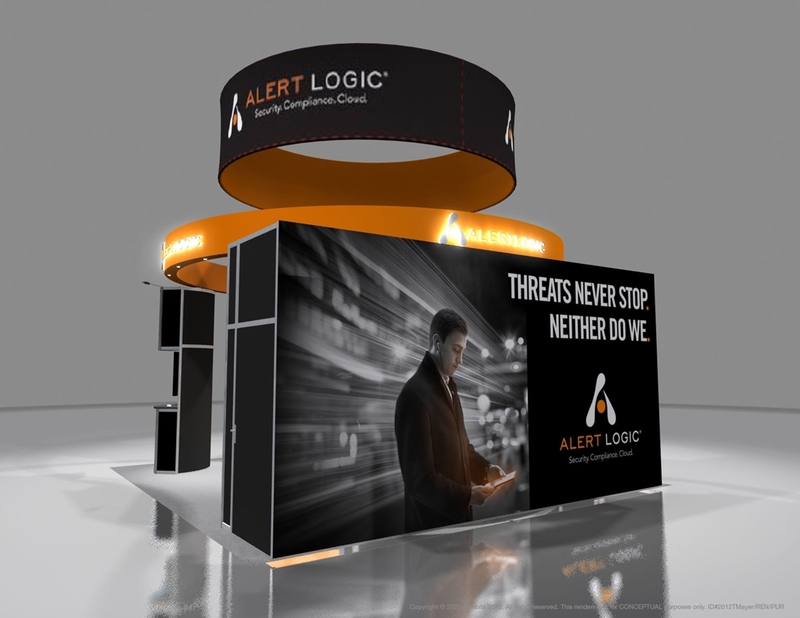 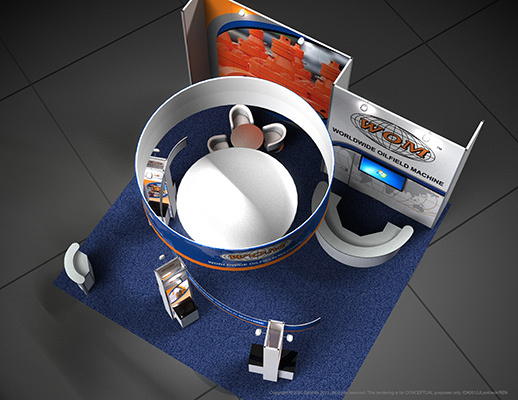 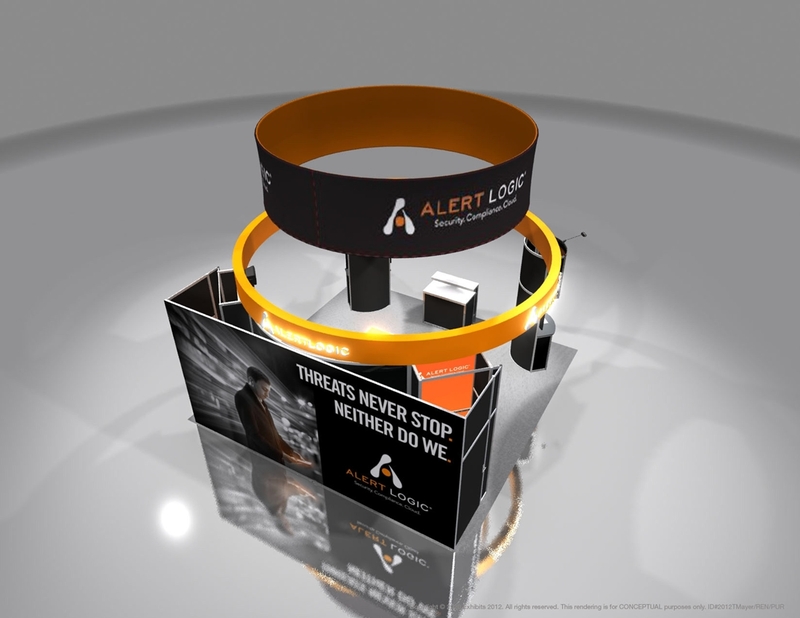 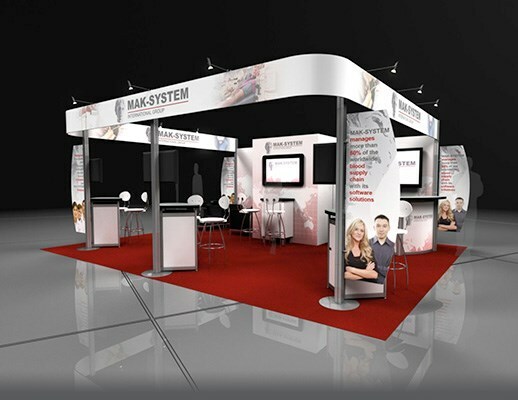 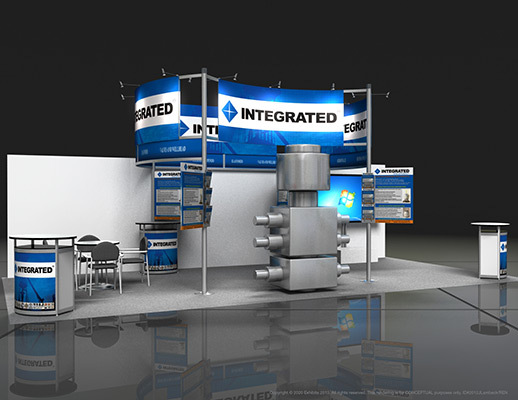 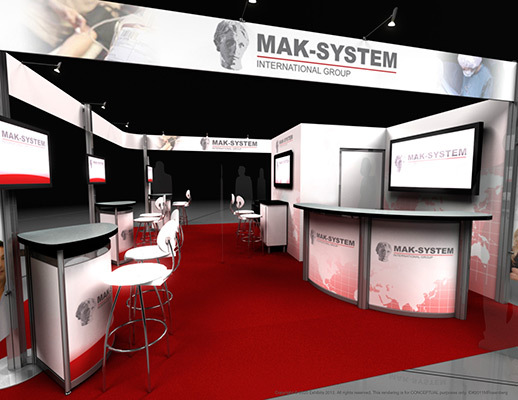 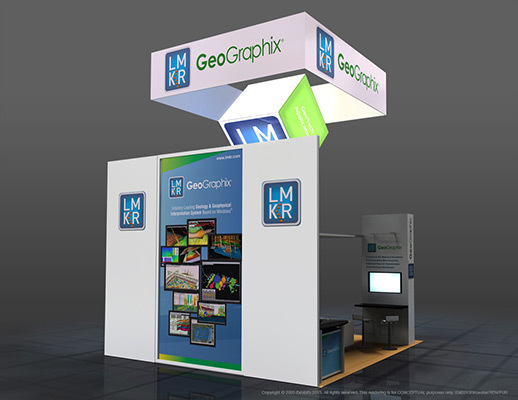 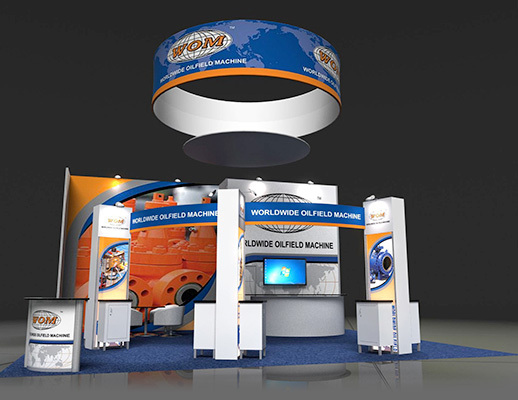 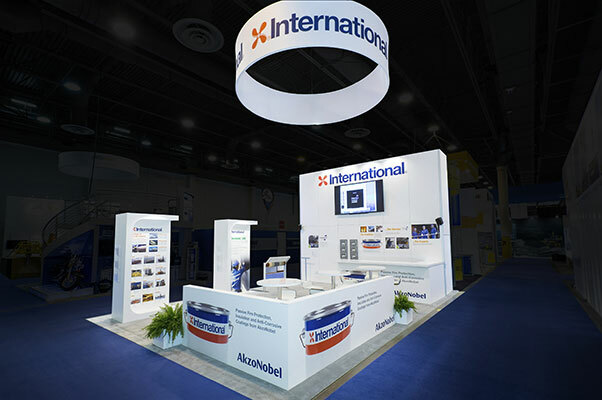 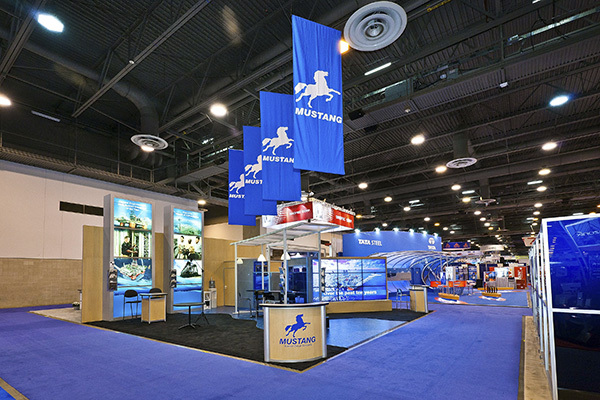 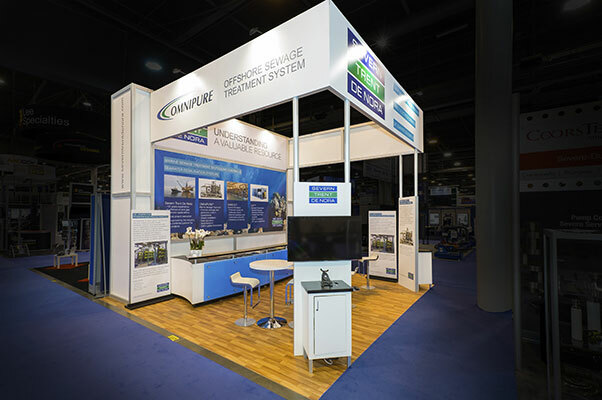 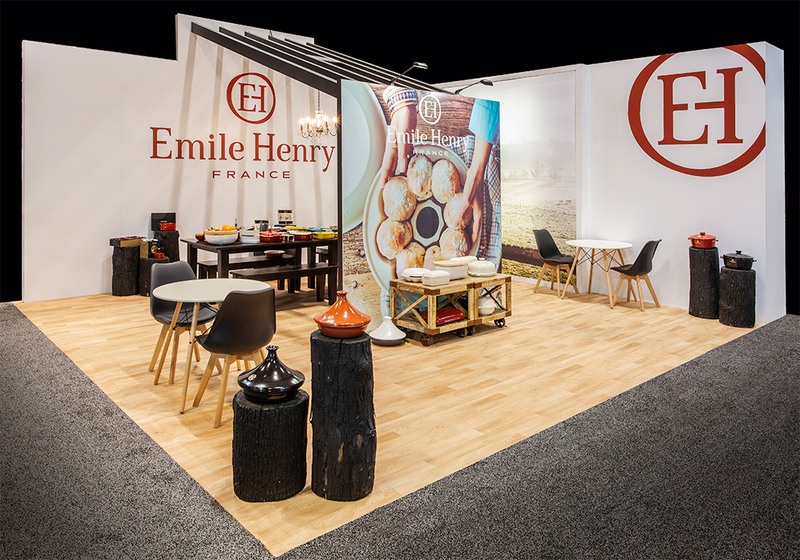 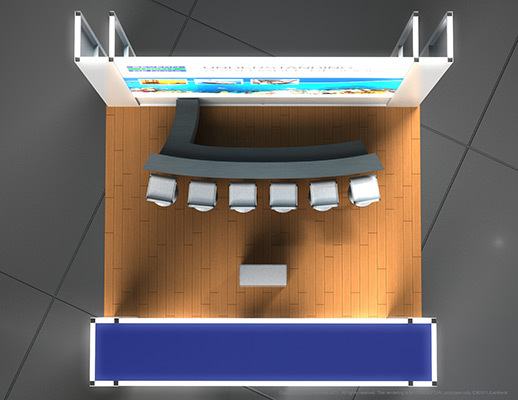 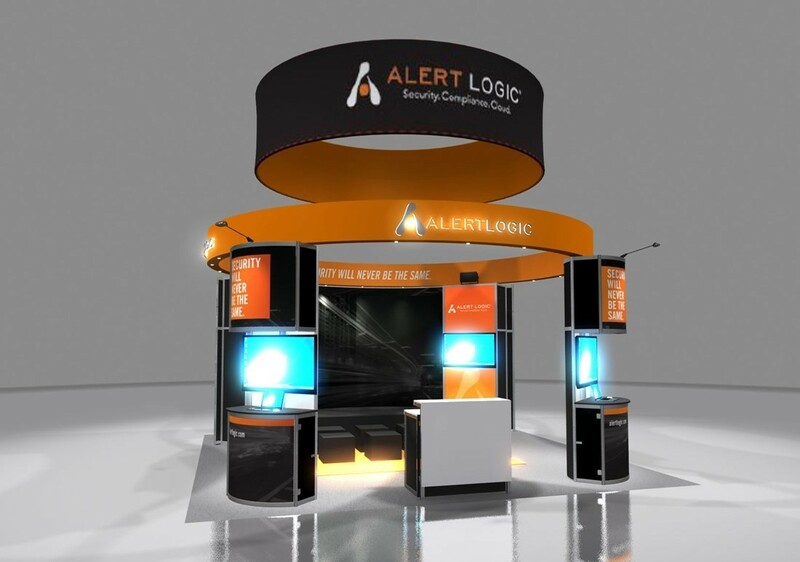 A rounded edge sign encloses the booth at the top with branded signage that wraps around the booth. 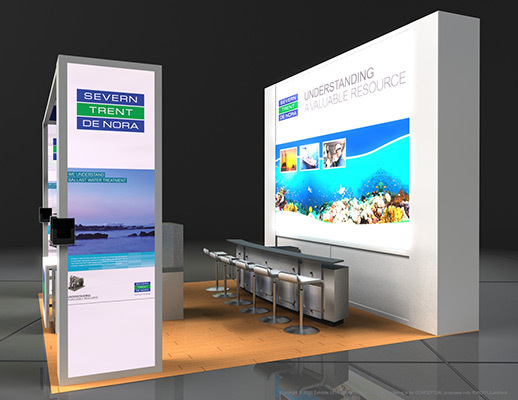 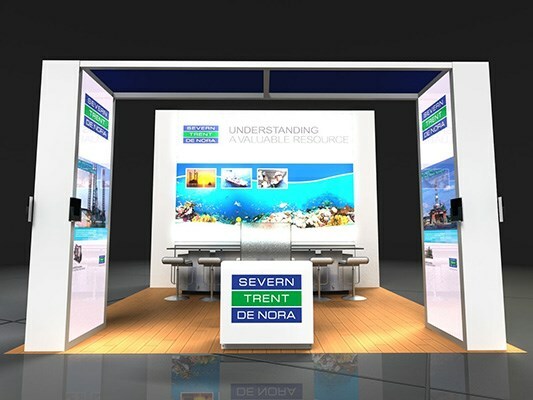 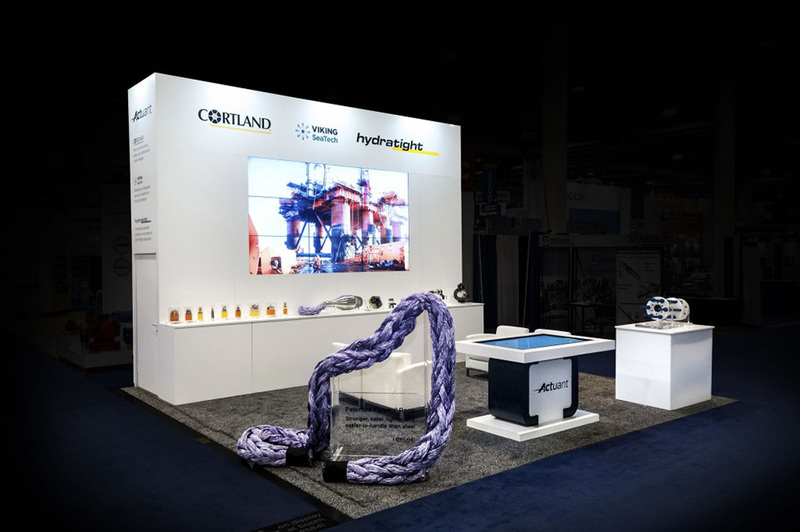 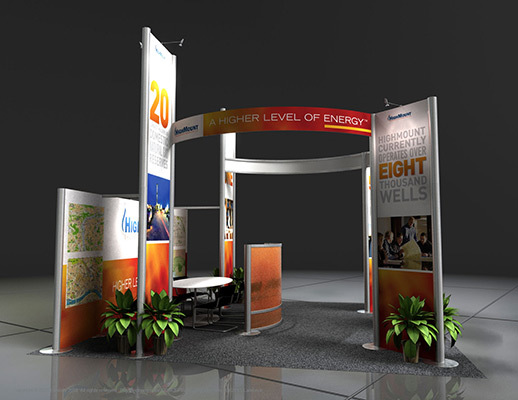 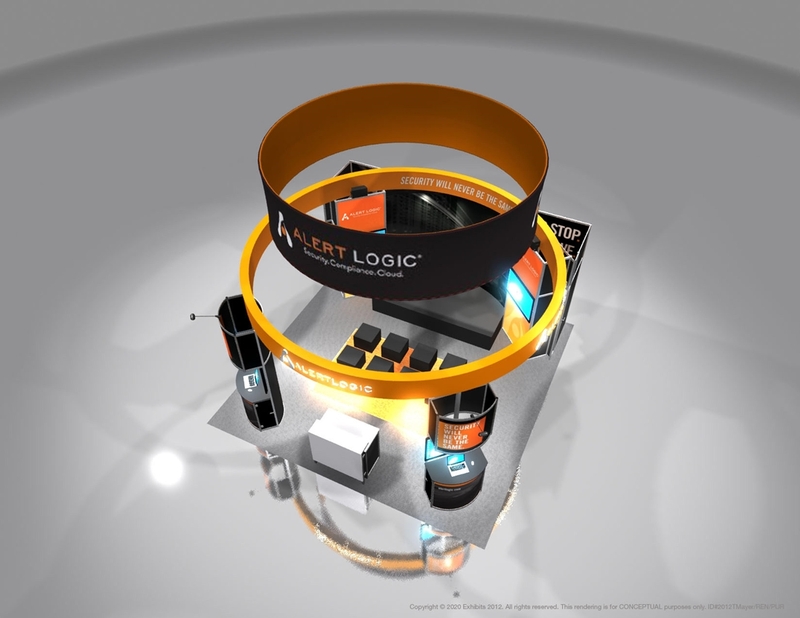 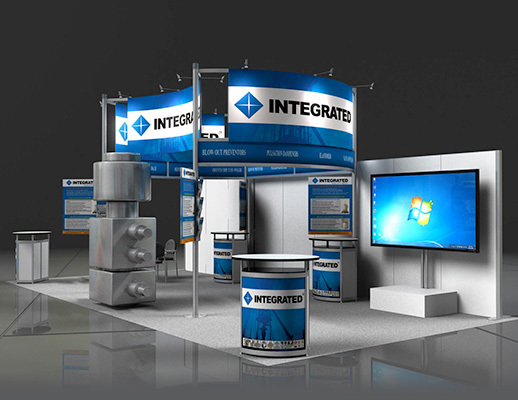 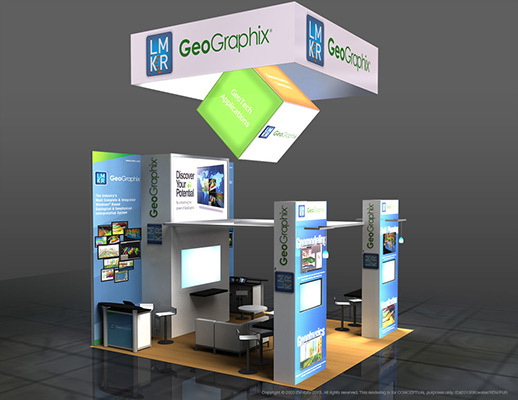 Information graphic banners at the edge are successful at grabbing the eyes' attention. 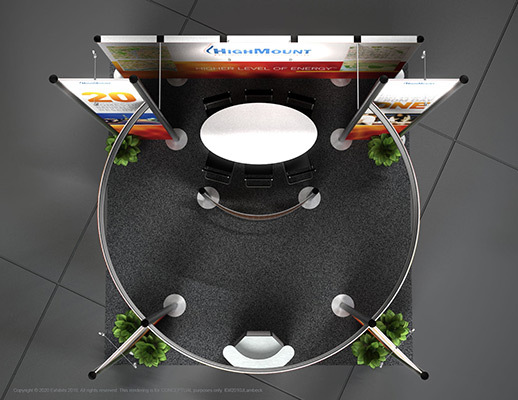 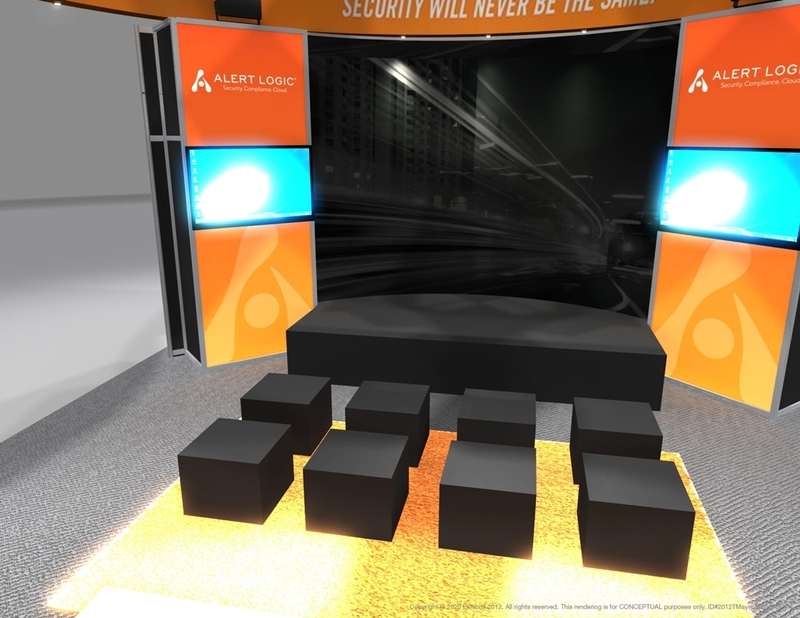 Several stations inside of the exhibit allow several presenters to have individual conversations with attendees simultaneously. 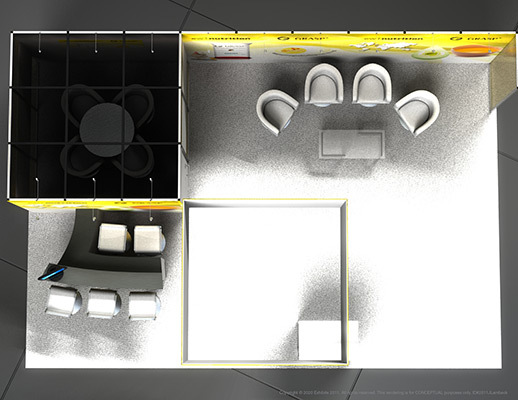 Plenty to browse and read allows those not in conversation to remain engaged. 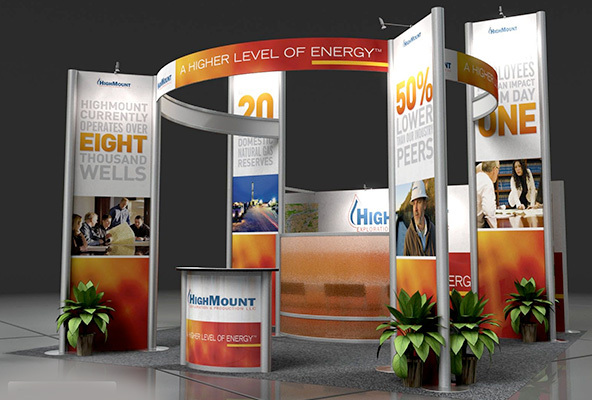 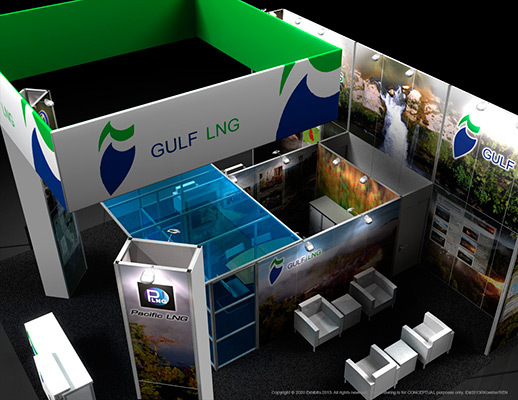 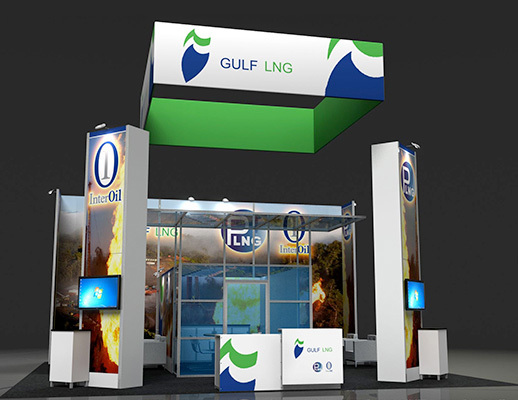 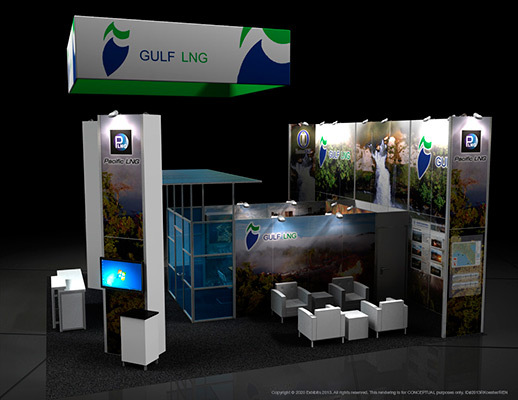 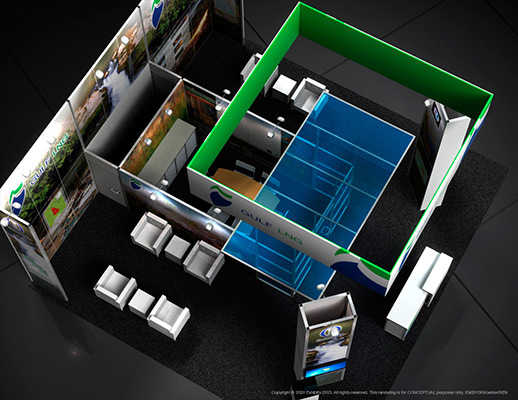 Features include: overhead rounded logo graphic signage, overhead lighting, information graphic banners, carpeted inlay, information stations, reception desks, video monitors, video stations, lounge seating and semi-private meeting areas.